26 small part assembly Assembly small parts can be a time intensive task. At Shenzhen Parts, we know that means your technician’s labor. That is why many of the parts we offer are available as assemblies, in which we assemble all of the components for you. The iPhone 5 full screen assembly with small parts includes 26 small parts, each of which are carefully installed by our most experienced technicians. Apple has just hit a milestone of 65 million dollars in charitable donations to Product RED for their investment in African AIDS programs since 2006. While this only amounts to 1 to 2 hours of profit each year, it is still a positive effort for Apple. Currently, Apple's other charitable partners include American Express, Bugaboo, Converse,GAP,Emporio Armani, Hallmark, DELL, Nike and Starbucks. Recent reports indicate that Apple is most likely planning to begin construction on a second data center. This is interesting as Apple's first data center in Oregon has not yet been completed, The new center has been selected in Prineville, Oregon. After reports of Apple's gathering and transferring personal data to the US government and the recent introduction of the iPhone 5S fingerprint collection, one has to wonder what type of data will be filling up these large data centers. Reports from Engadget record that Samsung’s Galaxy S III Mini which runs Android is the latest version of Samsung’s TouchWiz interface. Comparably speaking, Samsung’s Galaxy S III Mini is so much smaller in the width, length and overall footprint than Samsung’s other large-screen devices, and it’s somewhat thick by modern standards. It’s in many ways attractive for its nice screen, black face and blue coloring. What’s more, it won’t be any trouble to carry around, whether it be in your hand, pocket, or bag. After speculations of low sales following the loss of Apple's leadership, Apple has shown that they still have what it takes to be at the top of the consumer electronics mountain. Get your orders in by Friday September 20th to avoid delays from the upcoming China National Day. Last Tuesday, Apple made everyone’s day by announcing on its media event the two new Apple models – the iPhone 5s and iPhone 5c. So, how are they different from the past models of the device? As Apple sends invites for its iPhone 5S announcement on Sept. 10, it seems that the tech giant is ready to create bigger news as reports of it considering a 4.8 to 6-inch screen for its future lines of iPhone circulate in the web. 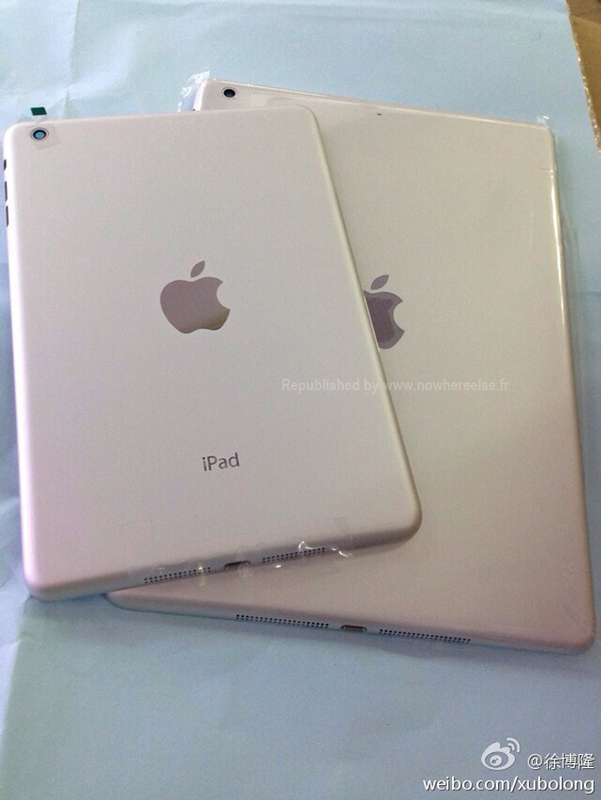 As news regarding the release of new iPhone models takes the spotlight, gadget websites chose the moment to release photo leaks of rear casings of next generations of the iPad and iPad mini. Before the big reveal day of the iPhone 5S, old iPhones are currently priced at $300. Trade-in companies are now paying in cash for anyone who sends in old gadgets before the new smartphone arrives.